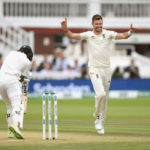 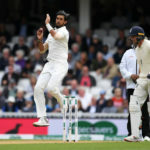 Jimmy Anderson surpassed Glenn McGrath as the highest wicket-taking pace bowler in history to help England secure victory at The Oval against India. 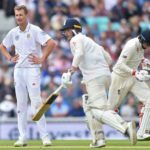 Jos Buttler continued his fine form for England with an undefeated 63 at lunch on day two of the fifth and final Test against India. 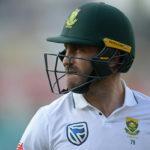 As much as we applauded Faf du Plessis for sparking a second Test turnaround at Trent Bridge, we have to say that The Oval hasn’t been his finest hour, writes GARY LEMKE. 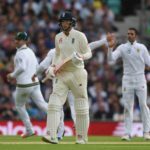 The Proteas are hanging on by a thread as they go into day five on 117-4, trailing England by 375 runs in the third Test at the Oval. 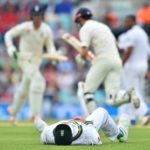 England declared on 313-8, handing the Proteas four sessions to chase down a world-record 492 at The Oval. 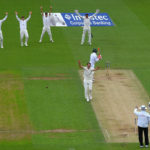 Tom Westley and Joe Root built up a stand of 61 to guide England to 153-2 by lunch on day four at The Oval. 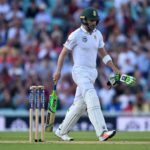 With little rain expected on day four, the Proteas are going to have to dig deep to stay in the third Test at The Oval. 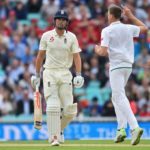 Persistent rain throughout the second half of the day at The Oval has left England on 74-1, leading the Proteas by 252 runs. 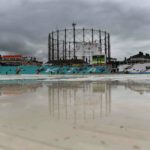 Rain threatens to rule out the rest of day three at The Oval, with England on 74-1 and a lead of 252 runs. 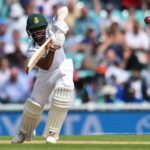 Temba Bavuma ensured that the Proteas avoided the follow-on before England got to 20-0 by lunch, building up a lead of 198 runs. 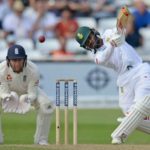 Temba Bavuma scored 52, as the Proteas were bowled out for 175 on day three, trailing England by 178 runs. 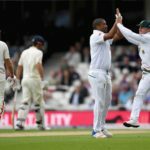 Vernon Philander has been discharged from hospital and is expected to bat on day three, with the Proteas on 126-8. 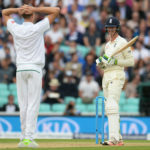 South Africa’s Jekyll and Hyde display on the tour of England continued as they threatened to wave the white flag on another seamer-friendly day at The Oval, writes GARY LEMKE. 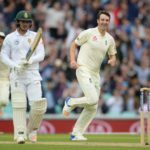 Debutant Toby Roland-Jones took 4-39 to leave the Proteas struggling on 126-8 by stumps on day two at The Oval.